I have an extreme affinity for animals, particularly in the wild, because I find it fascinating and inspiring to learn about their habitat. When I was in Africa, I came upon many creatures, up close and personal, like this elephant herd. The only way the ranger was able to take us this close to them was because the male bull had left the herd unprotected. 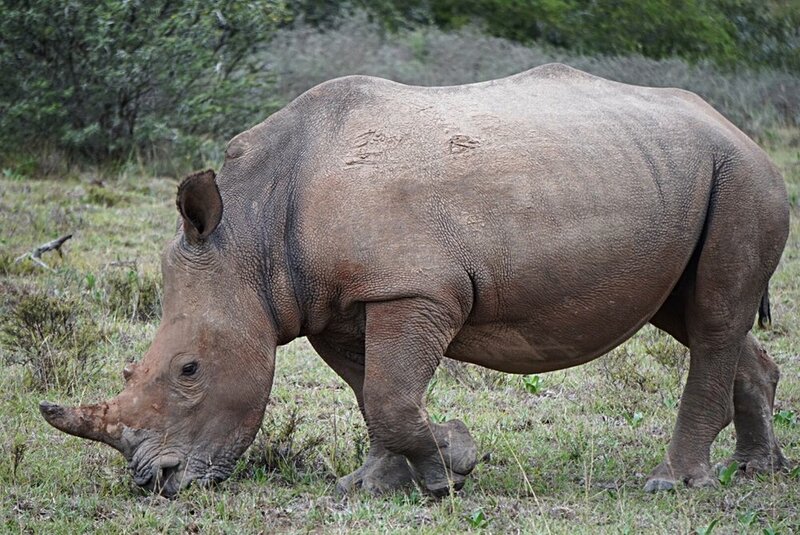 These beautiful animals are poached for their tusks every day along with the horns from the white rhino you see below. Fortunately, there are amazing people doing fantastic work over in Africa to protect these sensational creatures. Do yourself a favor and look up the unsung heroes over at VET PAW (Veterans Empowered to Protect African Wildlife). Put your dollars to good use and donate to their Go Fund Me campaign to help protect against poachers. Get yourself educated and become more aware of how endangered these majestic animals really are.